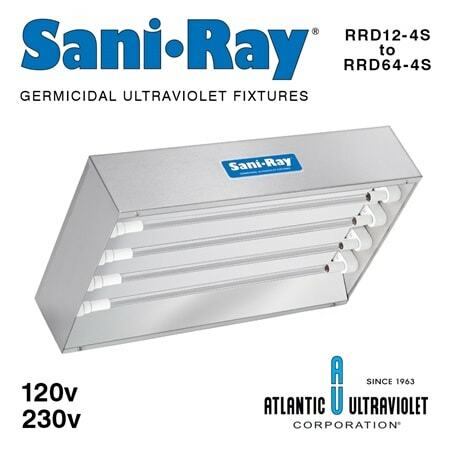 Germicidal Ultra-violet lamps installed in air conditioning systems protect occupants from harmful airborne micro-organisms including bacteria, moulds, viruses and Legionnaires Disease in new and old ducts. 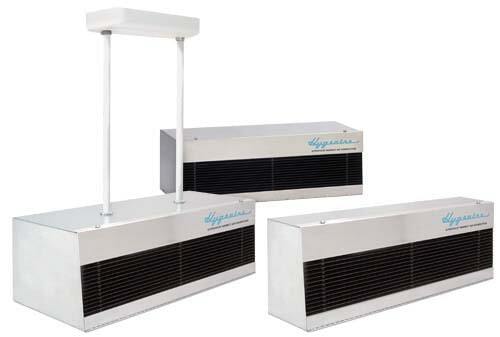 Models are also available for portable use, fixed to walls and included in all air conditioning systems. 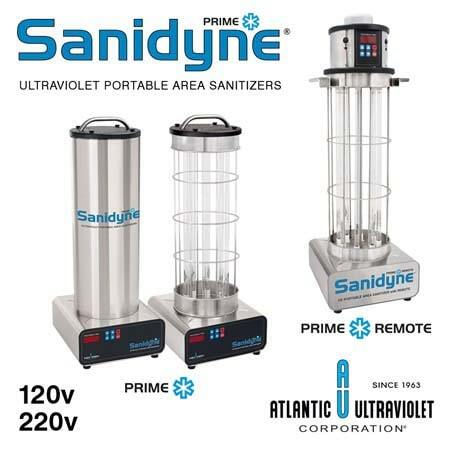 Ultra-violet air disinfection is used extensively in the Food and Dairy Industries, Hospitals, Laboratories, Operating Theatres, Office Buildings, Pharmaceutical Manufacturing, Casinos, Hotels, Mortuaries and Surgeries. Germicidal Ultra-violet helps cut energy and operational costs. Ultra-violet destroys surface bio-film which is prevalent in air conditioning systems and can lead to a host of indoor air quality problems. 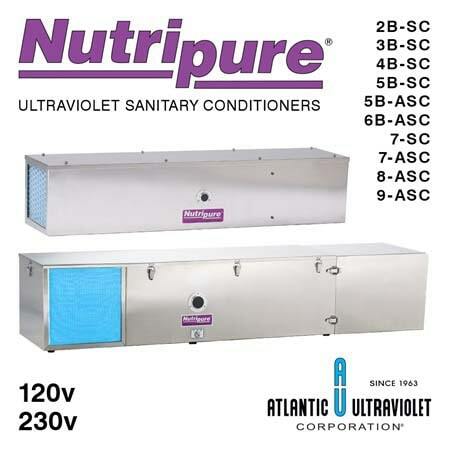 Ultra-violet also destroys airborne viruses and micro-organisms that circulate through these systems. Helps reduce staff absenteeism and improves productivity. High output Ultra-violet positioned irradiating the fins of the coil, will keep it free of biofilm and other contaminated build up. Reduces the high maintenance expense of manual cleaning. Ultra-violet is safe, effective, cost cutting and automatic, cleaning in hard to access locations. Build up on coils also causes higher running costs through inefficiency. Lamps and ballasts available for new systems and spares for Steril-Aire and similar systems. 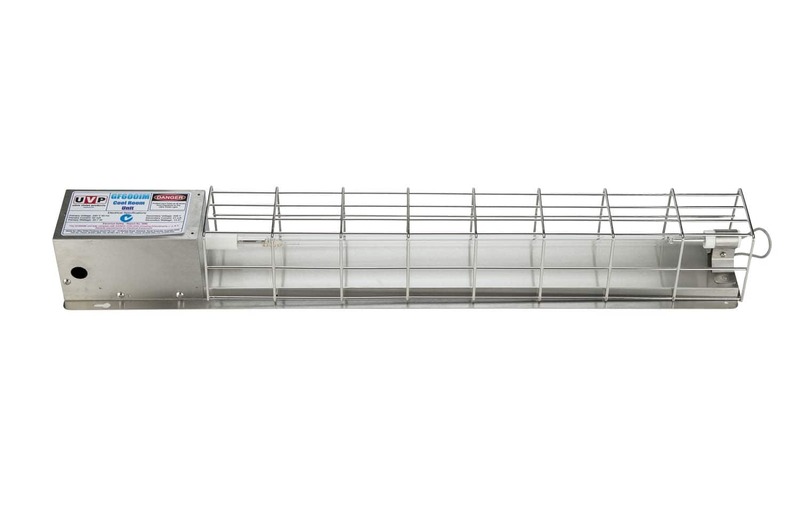 The Model GF600IM germicidal fixture is highly recommended and sought after for walk-in coolrooms to eliminate odours, kill bacteria and mould, extend the storage life of meat and prevent food spoilage. May be used in any coolroom where mould, mildew, and odours are a problem, and prevents cross-infection. Control of grease, smoke and odour in commercial kitchens from cooking processes. Installed in kitchen extraction ductwork in conjunction with filters, UV/Ozone lamps clean the exhaust ducts and hood interior for improved hygiene and reduced cleaning. Destroys cooking odours, keeps ductwork almost grease free, reduces fire risk, reduces ductwork cleaning to a minimum and is completely automatic in operation. Lamps and ballasts are available for new systems and spares for Halton and Techniclean systems. Ozone generators are available which kill mould and odour, remove smoke and smells and destroy bacteria and viruses in the air. Extensively used in food storage coolrooms especially butchers. Applicable for use in all coolrooms and available with ozone lamps. For direct irradiation of cooling coils in HVAC systems. Automatically cleans and improves air conditioning systems. OdaKil 287 (Model OK287) Compact ozone fitting for smaller areas. 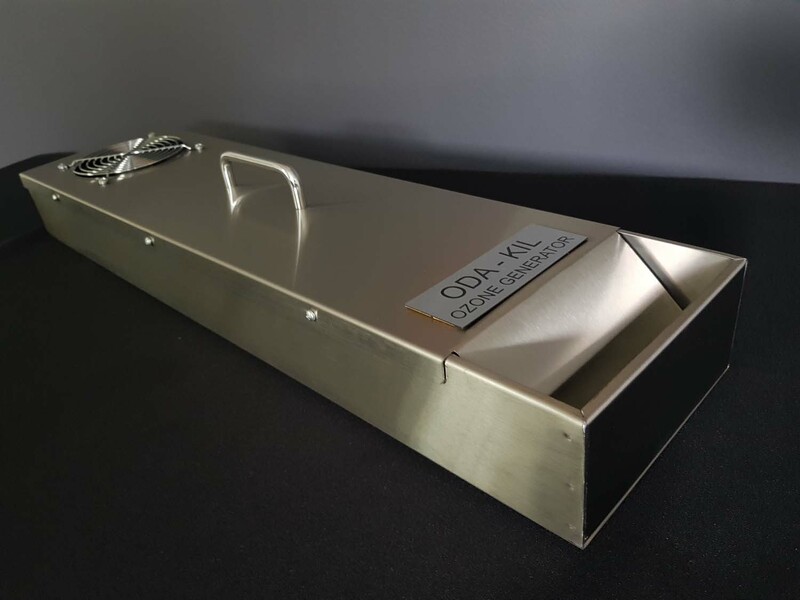 The Odakil 287 is designed as a small output ozone/UVC generated unit designed for use in smaller areas or in the home, for eradication of smells and smoke. it should be used to elimate any odours which are present and when the purification is complete, the unit should be turned off. Wall mount or use portably, the Odakil uses an 8watt UVC/O3 lamp. Can be used in toilets, changerooms, and sports areas. Odakil 369 (Model OK369) Portable ozone unit for large areas and commercial applications. 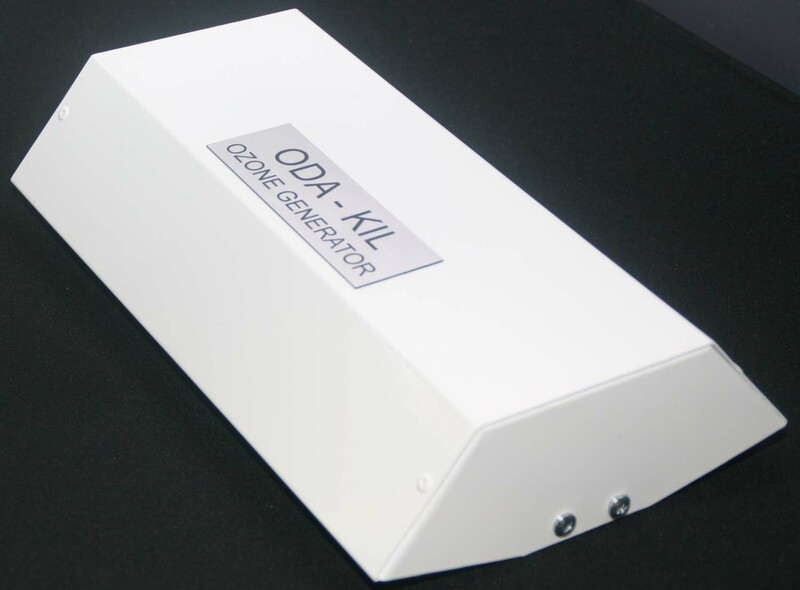 The Odakil 369 is available in a one lamp or two lamp model using ozone/UVC lamps. A 120mm fan is fitted and is designed to circulate and doedorise the air of any offending smells including organic, chemical, and biological types including smoke. This unit will treat 150cu metres per hour. Portable with carry handle, they are extensively used in the hospitality industry in hotel/motel maid services. Sanitaire 369 (Model Sani369) Portable air sanitizer for para medical use. 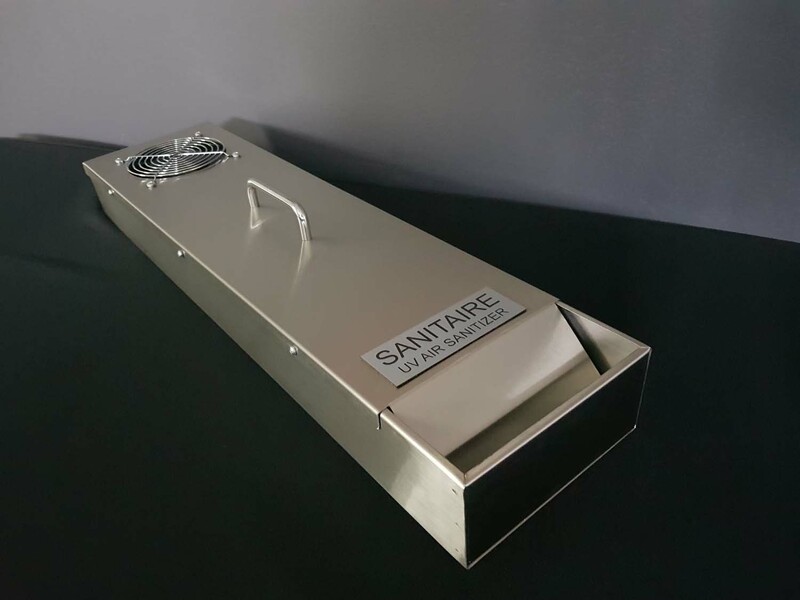 The Sanitaire 369 is a portable room sanitiser ideal for use in sick rooms, hospitals areas, hostels, clinics and nursing homes where the spread of dysentery and similar infections is a danger. It uses UVC lamps and can be used in occupied rooms and areas as it is completely safe to use. It has a 120mm fan and circulates and purifies the air at 150cu metres per hour. May be used in all occupied areas where risk of cross infection is to be eliminated. 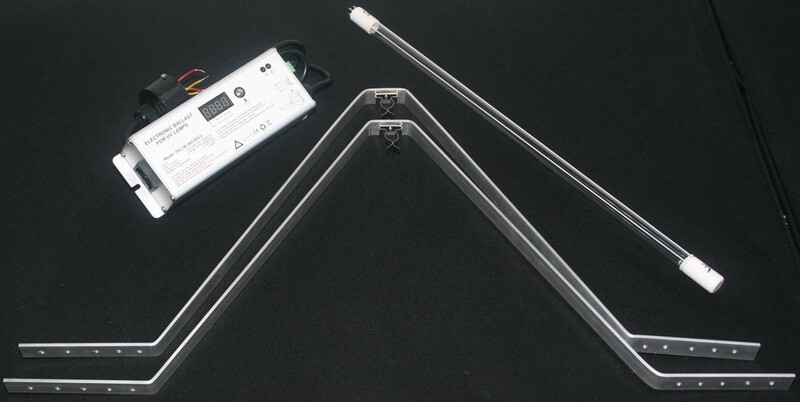 High output wall fixture for upper air irradiation. 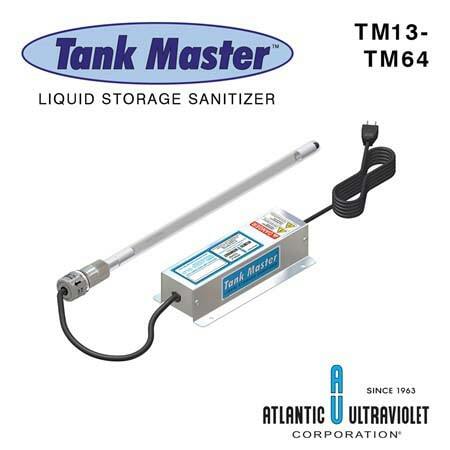 Ensures purity of liquid storage tanks. Portable air and surface unit ideal for hospital/clinic use. Designed for storage of sugar syrup and edible oils. 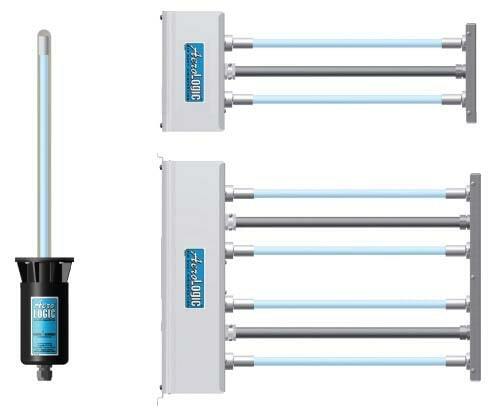 UVC lamps are used extensively in walk-in coolrooms to eliminate odours, kill bacteria and mould on the surface of food products (meat, chicken, fish etc) preventing spoilage and thus extending the storage life of the product. UV is a long established aid in helping create the dry tenderising process in the red meat industry. UVC lamps and fittings may be installed on conveyor lines for surface disinfection during the packaging cycle of dairy and fresh food products. 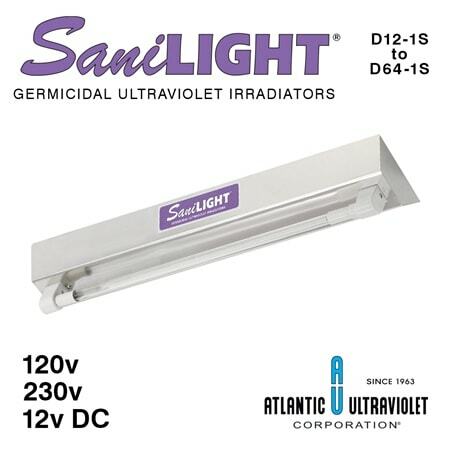 Ultra violet disinfects in seconds, destroying harmful bacteria, moulds and viruses. Extends the effective storage life of all food products in production and/or in storage. We offer a complete range of fixtures and fittings for surface disinfection. Designed for ceiling mount for pass-through hatches and clean linen storage. Also direct irradiation of areas when unoccupied eg: operating theatres, food manufacturing areas. Ideal for irradiation of air and surfaces. Also used to irradiate conveyor belt surfaces.